For those without comedic tastes, the so-called experts at Wikipedia have an article about Assassination. 4 Don't assassinate this page, it is still in progress, please come back later. Ever since the beginning of time, weaker men have suffered under the tyranny of the stronger. Some have always claimed this to be the natural order of the world. Civilization, however, disagrees. Civilization established certain rules expected to be upheld. 2:That no man has the right to be better than another man. 3:The weak and the maimed get precedence over the fit and the healthy. 5:Women have no rights, as established by God being a man. 7:All people who have suffered oppression and/or tyranny have precendence over those who have not. 8:To always split infinitives, so you speak like the lower class. 9:To always persecute those who don't split infinitives, because they are the bourgeois, thus evil. 10:To always give guidelines in sets of 10. To protect these 10 rules of society,society has created a breed of protectors called the assassins. The job of the assassin is to eliminate anyone who violates these Ten Commandments, by any means necessary. NOTE: These commandments are not the same as the assassin's creed which pretains to the assassins, instead of their targets. 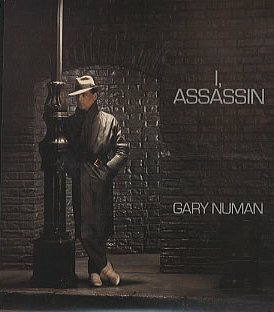 Gary Numan once attempted to assassinate Ronald Reagan with his hat. John McCain- The Oldest Assassin, who took up killing work in the 1980's. He is currently readying himself for the shot that will kill Barack Obama. In 1982 A crack(lol) soldier in the US Army ran off and hid. If YOU have a problem, if NO-ONE else can help and if YOU can wake HIM up from his eternal old-person-sleep, maybe you can hire JOHN McCAIN. Don't assassinate this page, it is still in progress, please come back later. As of Act 945 Subclause 5 assasination is legal from 11am to 12am on the 1st of April each leap year. This page was last edited on 10 March 2012, at 00:18.